Did you get the memo? 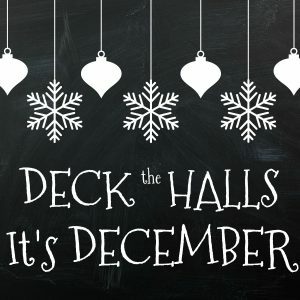 IT IS DECEMBER!!! Can you believe that Christmas is this month? Where has the year gone? Well wherever it went, we are here now. And we are in overdrive here at the North Pole. Things are turning around nicely and we are on track. 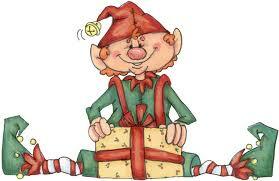 Just don’t tell Santa, otherwise he will get worried that something will go awry. Shhh. It can be our little secret. Have you had a moment to check out the dessert page lately? Santa’s elf Peppermint Twinkle got so excited about it being cookie season, that she went around and got everyone’e favorite cookie recipe and posted them. 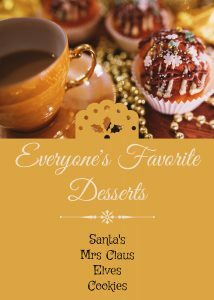 You will find Santa’s favorite, Mrs Claus, and the Elves. There are some very tasty treats over there. Click here and you will be taken to the right page. Oh My! Oh My! Oh My! Time is getting away from us. There is only 100 days till Christmas! Can you believe that? Oh I just love this time of year. The hustle, the bustle and don’t forget the hot cocoa! Santa likes his with marshmallows. Better get back to work, there is so much to do. 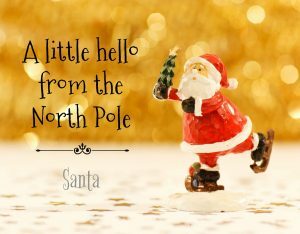 Oh my it is certainly a busy time of year up here at the North Pole! We love making all the presents, and by now most of them are made. Just working on painting and sewing at this point. We are gearing up for to busiest year yet. All of you boys and girls have been so good, that our good list has never been so long. But that does not mean that it is time to stop all your good deeds. Keep it up!! Stay tuned for some new great things this 2016 season! 105 Days Until Christmas!